Banish brown spots, facial redness and uneven skin tone while you unveil clear, radiant skin with Intense Pulsed Light (IPL). While many of us think that wrinkles are the #1 visible sign of aging, studies point to uneven skin tone and coloration as being the true culprit in making us look older than we are. Years of unprotected sun exposure can manifest itself later in life as unattractive dark spots on face, chest, hands and diffuse redness and broken blood vessels. These can make our complexions look muddy, uneven and dull. Intense Pulsed Light (IPL) treatments are the gold standard in the aesthetic industry to restore even, youthful coloration to your skin! How does IPL work? Unlike traditional lasers which utilize a single beam of light to target a specific skin concern, IPL administers several wavelengths of light to the skin at once. Different wavelengths of light are attracted to different components of your skin. This diversity allows IPL to safely target brown discolorations (hyperpigmentation) and diffuse redness. Both visible dark spots and pigment below the skin absorb the energy from this pulsed light, while clear and healthy tissue remains unaffected. Spots initially become darker over days following treatment, eventually flaking off. Once cleared, a more even and radiant complexion is revealed. Your treatment will be performed by a Licensed Aesthetician who has extensive experience as a Certified Laser Technician. Before your treatment, she will discuss how to properly prep your skin for enhanced results and care for it following your IPL. It is important to have no active tan before your treatment, as this may cause complications. Your Laser Technician will also need to know if you are currently using any prescriptions that could increase your sensitivity to light, like some antibiotics. It is also recommended that you avoid the use of any strong skincare ingredients such as retinol, glycolic acid and hydroquinone before your IPL. If you suffer from frequent cold sores, we will prescribe a medication for you to take before your treatment to prevent a possible outbreak. 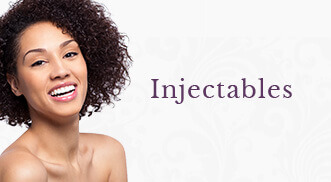 Before your IPL your skin will be thoroughly cleansed and a cooling gel will be applied to the treatment area. During the treatment you will feel a series of small, fast snaps against your skin accompanied by a bright flash of light. Many patients describe the sensation of IPL as a light snap of a rubber band, with the midface and nose being more sensitive. Immediately following your treatment, your skin may feel like you have a mild sunburn. You may also notice that dark spots look darker and that they have multiplied. Don’t worry! This is a good sign, as the IPL has pulled deeper damage to the surface of the skin. It is important not to pick or scratch these areas, as you may damage the emerging healthy skin beneath. A daily SPF of at least 30 is recommended to protect your skin and prevent future damage. If the focus of your IPL treatment was to treat redness/vessels, you may notice some slight greying of these vessels, slight welts and tenderness. Cool compresses can be applied to these areas and symptoms will subside in a few days. 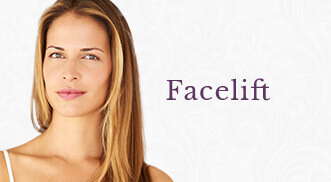 Eventually, you will notice that overall redness decreases and individual vessels disappear. It is important to discuss our social calendar with your Licensed Aesthetician, as you may want to schedule your IPL around important events. Most patients note dramatic improvement with one IPL, but as some of our damage may not be at the surface of the skin yet, a series of 3, spaced 4 weeks apart is recommended. IPL is also a fantastic treatment to schedule on an annual basis to compensate for any damage acquired throughout the year. If you lead a very active outdoor lifestyle in the Summer, it is recommended to schedule your IPL treatments in the Fall and Winter for the safest results! 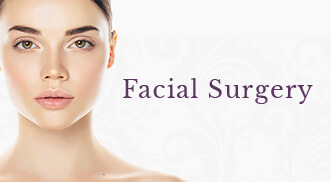 Are you interested in learning more about Skin Rejuvenation: IPL Photofacials?